Might have been a lot better division if Detroit didn't fold like a cheap deck of cards this year. oh well, on to San Fran. greenandgold wrote: Might have been a lot better division if Detroit didn't fold like a cheap deck of cards this year. oh well, on to San Fran. Well Mr Fudgie. What say you now Choked with your 15-1 record last year and were humiliated this year. Without Rodgers you guys would not win three games. Purple bruise wrote: Well Mr Fudgie. What say you now Choked with your 15-1 record last year and were humiliated this year. Without Rodgers you guys would not win three games. Without Peterson, you wouldn't even have a team in Minnesota still. 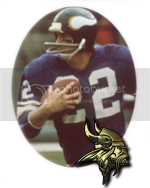 Sinatra wrote: Without Peterson, you wouldn't even have a team in Minnesota still. Oh boy, he sure does own us. I mean, the Vikings have beaten us a whole 1 time in the last 7 games! Peterson owns us! That's your only response? Really? It's like their fetal position response. My guess is that most online Packer smack talkers only have been alive for their 2010 run. Vikings fans brag about rushing yards. Packers fans brag about Super Bowls. Sinatra wrote: Vikings fans brag about rushing yards. Packers fans brag about Super Bowls. It doesn't really make sense for either side to "brag" about either item. We didn't rush for 2,000 yards and you didn't actually win a super bowl. Seriously, who brags about something that someone else did? Well, knocking YOUR butts out of the playoffs was pretty sweet. Just like we also did to the Bears in 2011, and we WERE 2-1 against you. As for getting you know what slapped by SF, What did you do against them, oh yeah they beat you too. I love the guy who predicted that the cold weather was actually an ADVANTAGE to the Vikes because AP was going to run all over us. He had a good day, but who held him from getting the all time best yardage of any back in the NFL for a season. once again it was my boys. So we whipped two NFCN teams out of the playoffs in three years. One of them at their house for an NFC championship. I still have good things to remember, all you have is memories of a first round playoff loss against the Green And Gold wearing team. greenandgold wrote: Well, knocking YOUR butts out of the playoffs was pretty sweet. Just like we also did to the Bears in 2011, and we WERE 2-1 against you. As for getting you know what slapped by SF, What did you do against them, oh yeah they beat you too. I love the guy who predicted that the cold weather was actually an ADVANTAGE to the Vikes because AP was going to run all over us. He had a good day, but who held him from getting the all time best yardage of any back in the NFL for a season. once again it was my boys. Wrong again Mr. Fudge packing Pecker. The Vikes crushed the 49er's 28-13 Stats: Ponder Completed 21 of 35 passes and two TDs, ran for another score, wasn't sacked or intercepted. had team-high 13 tackles, including 10 unassisted stops and two sacks. Huh? I swear I must have hit the wrong year when I looked up the San Fran records. But you are also wrong, score was was NOT a crush, and I believe it was Smith, not Kapernack starting. But nice try bringing up the 11-5 choke yet again when it was MY boys who put YOURS out of the playoffs, which you avoided all mention of. Not to mention the fact it was my boys who STOPPED Peterson from breaking the NFL record. I'm still winning here, not you.